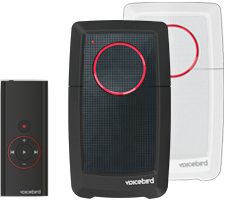 Voicebird is easily connected to your mobile phone via Bluetooth or wired headset. Once it has been paired, it is ready to record and document your important calls. Voicebird Mini connects to your mobile phone and headset. It’s wired, it’s simple and it’s efficient. It is perfect for the active lifestyle as well as a day at the office.